The Measles had been thought by many scientists to have been eliminated. 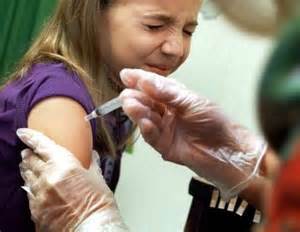 Most of us have had the Measles vaccine, often through the MMR (Measles, Mumps, Rubella). It has been unclear as to how long the vaccine would be effective and people who did not get adequate immunity initially were thought to have immunity after a second vaccination. Recently, there have been Measles outbreaks that began during an annual Hasidic pilgrimage from Israel to Ukraine. This led to a state of emergency in New York’s Rockland county, where many of those who came down with the Measles now live. In 2001, the United Nations declared war against Measles outbreaks and with the help of high profile donors such as Bill and Melinda Gates, Ted Turner, The Red Cross and other organizations, who made it possible to make widespread vaccination against the disease available, the latest uptick in the disease which has been linked to poverty and lifestyles. In Israel, where some of the outbreaks have occurred, it was because of a mismatch between clinics that wanted to vaccinate some of the larger Hassidic families and their ability to have their families vaccinated. According to a recent article in the NY Times, the recent stateside outbreaks have been caused by other groups from outside of the USA intermingling with our groups here or from people who have traveled abroad. Scientists are trying to understand the complexity of how the disease has spread and how they can get others vaccinated. There is a logistical challenge for the scientific community. You can find out more by reading this recent NY Times article.